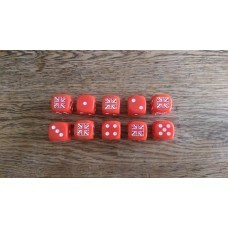 A Set of 10 - British Union Jack Dice with Dice Tin (16mm). These custom d..
A Set of 10 Dice - Generic British Union Jack Dice (16mm). 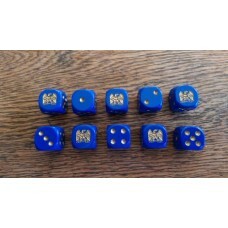 These custom d..
A Set of 10 - Austrian Eagle Dice (16mm). These custom designed dice have ..
A Set of 10 - Austrian Eagle Dice with Dice Tin (16mm). 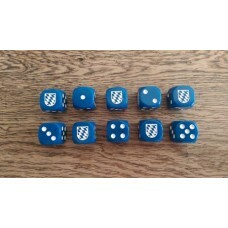 These custom desig..
A Set of 10 - Bavarian Dice (16mm). These custom designed dice have a whit..
A Set of 10 - Bavarian Dice with Dice Tin (16mm). 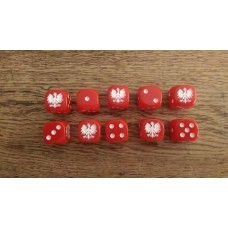 These custom designed di..
A Set of 10 - Duchy of Warsaw Dice (16mm). These custom designed dice have..
A Set of 10 - Duchy of Warsaw Dice with Dice Tin (16mm). These custom desi..
A Set of 10 - French Napoleonic Eagle Dice (16mm). These custom designed d..
A Set of 10 - French Napoleonic Eagle Dice with Dice Tin (16mm). 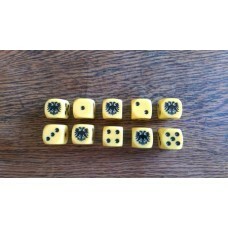 These cus..
A Set of 10 - French Napoleonic Symbol Dice (16mm). 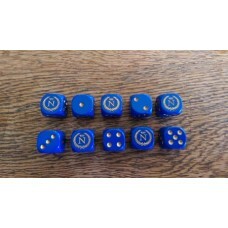 These custom designed ..
A Set of 10 - French Napoleonic Symbol Dice with Dice Tin (16mm). 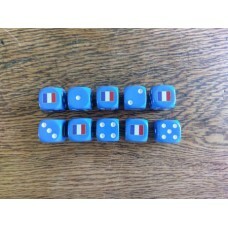 These cu..
A Set of 10 - French Tricolour Dice (16mm). These custom designed dice hav..
A Set of 10 - French Tricolour Dice with Dice Tin (16mm). These custom des..